You know that feeling when you think your SEO is over and there is nothing else you can do? Trust me; I’ve been at that stage plenty of times with TM Blast and client accounts. As a Boston SEO consultant, I know the importance of continuously driving more organic traffic to websites. When I feel like organic search elements are stagnant, I look for new ways to optimize accounts. Here are my ten tips to consider when you think your SEO is done for any account that you work on. Google sees about 15% new queries each day, so there are always fresh and emerging keywords daily. When you think your SEO can’t go any further, I encourage you to use the gap analysis tool in SEMRush and see how your website stacks up against your competitors. 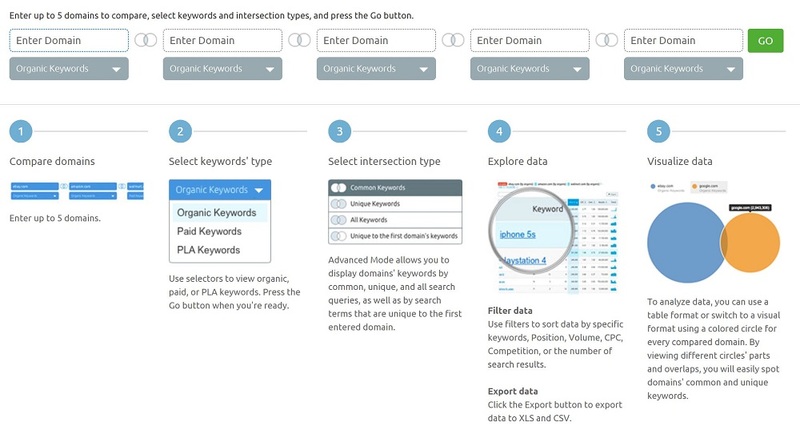 The gap analysis tool will display what keywords your competitors rank for that your site does not, so you can make the call if you should be a strategy to optimize for them too. 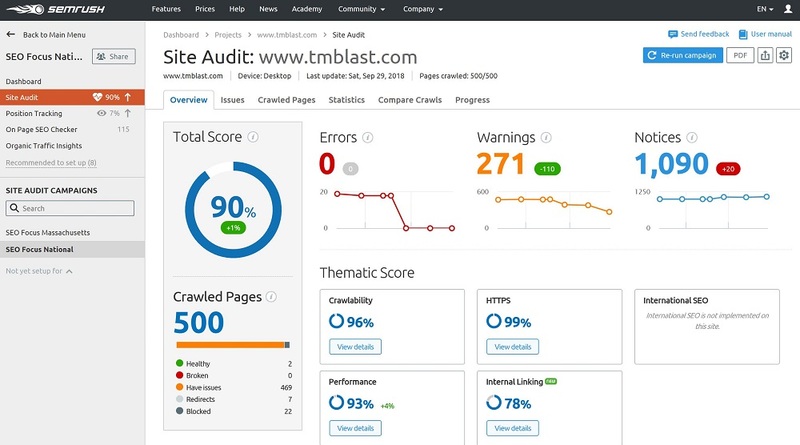 Measuring how often Google and Bing are crawling your most important content is what log file analysis is all about. Giving Google and Bing the most explicit path to your most important content can be a game changer within SEO when you reduce error paths. 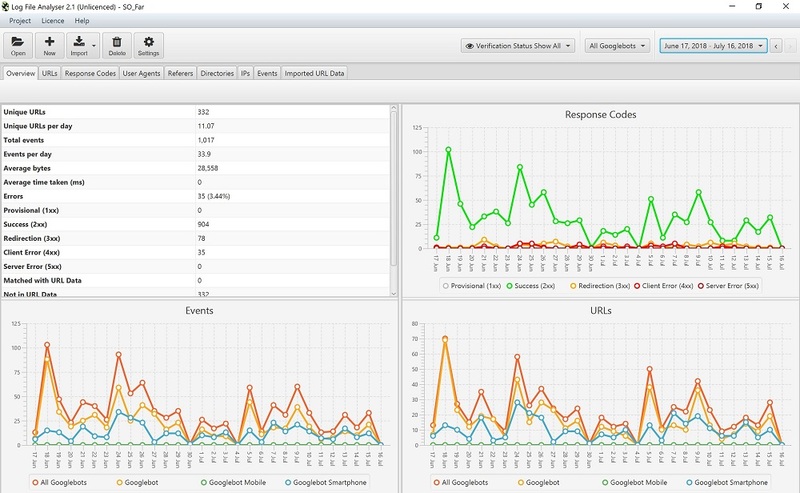 Log file analysis can also discover if your website is under attack from spambot attacks. Identifying a spam bot attack and stopping it before it becomes too severe can save your SEO from months of decline and performance problems. 404 pages are sections on your site that are no longer around. An example of a 404 page would be a particular sale that you created that had a dedicated landing page on your site for a short amount of time. When the deal ended, you took down the page because it’s no longer relevant. If you did not redirect that page somewhere, you are keeping authority off in the distance that serves no purpose for your SEO. Instead, you should 301 (or 302 if it is temporary) redirect those 404 pages to the appropriate page on your site. Finding a similar or relevant destination will be useful for users and bots, so they don’t have to waste their time crawling links to end up at a dead end. If you feel that your SEO is in perfect shape (I doubt it), you should think about what you can do to improve the experience for your audience. One area that can make an immediate impact is improving the load time of your site for your audience. Google is moving (moved) to a mobile-first index in 2018 and speed is a factor, so it’s best to address this issue now. I don’t have a load time number to shoot for because that is short-term thinking. It’s the same strategy when people ask how many words should I have on a page, or how many backlinks should I get to rank for a keyword. Instead, I would challenge you to reduce the size of your sites and load time for both users and bots. Humans will enjoy a faster site and bots will be able to access more pages in the same amount of time because there is less code on the page. As a note, I like to use GT Metrix to find new areas to optimize my site for load time optimization. Are you running Google Ads, Bing Ads, and or Yahoo Gemini for your account to drive traffic? Chances are you are but are you actively reviewing your search terms report for organic search opportunities? For SEO, we can’t see the exact keywords that drove a click, but paid search gives you all of this information. 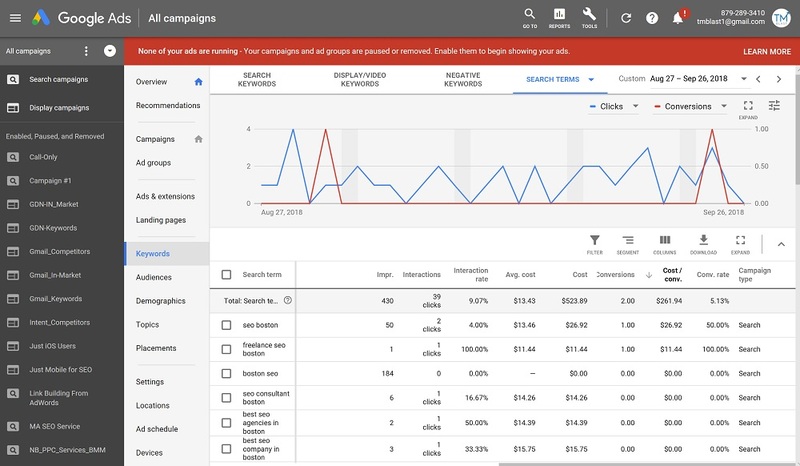 For example, you may see people searching in a question format in your Google Ads report. Let’s say you are in the business offering financial planning services to people getting close to the retirement age. Your Google Ads account bids on the term “financial planning,” but the match type appears by a query that is much larger. Perhaps the query is “how does Trump’s tax plan affect my financial planning for my family,” or something like that. That example keyword is relevant in today’s landscape and is a topic that is on people’s mind. If you had content on your site that specifically addressed Trump’s Tax plan as a financial adviser, you could start driving a new audience to your website and business from organic search. 7) Do you Have Content for an International Audience? I have to give credit to Aleyda Solis who is an international SEO expert for these tips below. I’ve included a link to her SlideShare presentation if you want to read the whole thing. 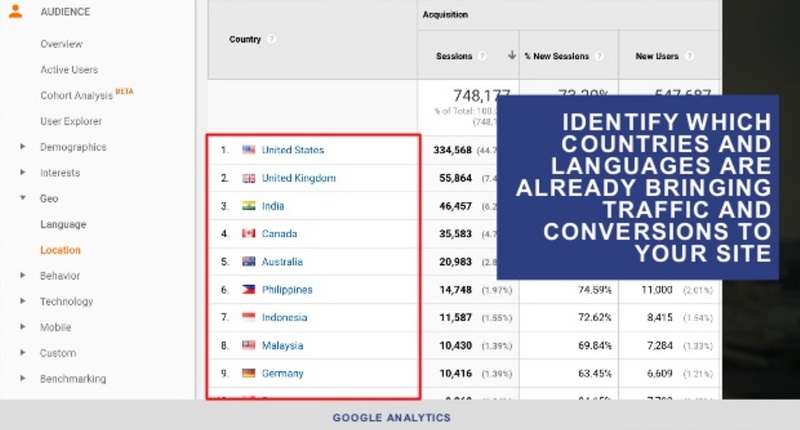 In summary, she states to review your demographic data in Google Analytics and see if your audience is coming from different countries other than the United States and create a better experience for them. For example, let’s say 25% of your organic traffic originates from India and coverts well. One way you can take advantage of this data is to test creating content in Hindi since that is the primary language in India and see how that performs on your site. You can take the steps even further by writing the hreflang to serve either English or Hindi based on the query someone searched for in India and server a better user experience. 8) Are you Considering Bing? When I talk about Bing’s market share in the United States, I use GS Stat counter as my metric and reference point. When you combine desktop, mobile, tablet, and console devices, Bing makes around 15% of the marketplace. Depending on your niche, you may see more or less than that percentage, but it’s something to go off. Here is a link to Bing’s Audience so you can play around with the fields and see what the numbers are. As a safe rule, I take whatever Google’s search volume is and take 15% of that number to forecast what Bing would provide. Ways to optimize for Bing, for the most part, help Google as well. This blog post is not about all of the strategies to optimize for Bing, but I like to share one primary tool that will help your plan evolve. Bing Ads Intelligence is a free Excel plugin that will give you keyword search data directly from Bing, so you can see forecast the benefit of achieving top results. Here is a link to 7 ways to use Bing Webmaster Tools to improve your SEO. The way we as humans absorb content is growing at an expeditious rate. For example, I subscribe to Collider to listen to their Jedi Council content every Thursday night. I’m embarrassed to share this, but let me explain the material and how they are doing a good job. I discovered Jedi Council on YouTube and regularly watch their show on Thursday night before I go to bed. Recently, Collider began a podcast channel that would be the audio version of their video YouTube content. The podcast is something I use more often because I walk my dog three to four times each day, so I like having the episode on when I walk since I can download it and play it offline which does not use my data. That example above is not say you have to use video or podcasts, but it demonstrates how I’m able to engage with their brand in different ways. New forms of content can increase user engagement and help with SEO, so always think about these opportunities. Dan Shure from Experts on the Wire is predicting that podcasts will be a bigger deal in years to come in SEO, so it’s worth the early investment. You may be rolling your eyes to this suggestion, but hear me out. 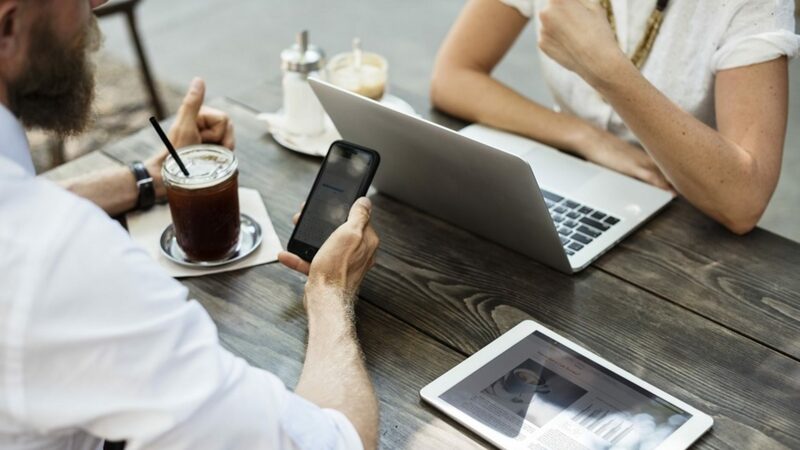 Engagement is critical to successful SEO, so you should be giving your audience more reasons to interact with your brand. Running a contest, scholarship, a quiz, or something else entirely with the appropriate amount of advertising can get some natural attention to these pages. 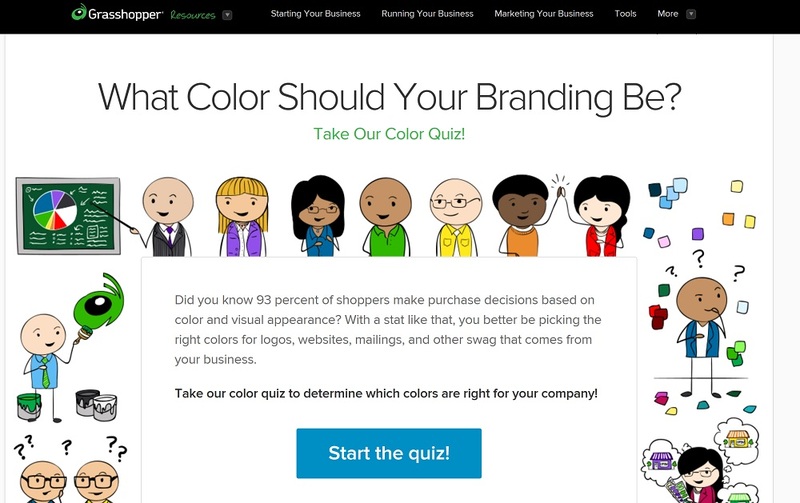 Grasshopper created a color quiz to show entrepreneurs what color would be best for their business based on their traits. The questionnaire was short, fun, and unique. There was no search volume for a business color quiz, but the content received a lot of social shares and eventually some powerful backlinks from places linking out to the content. The material acted as a hub or sponge that absorbed these backlinks and passed the authority to essential sections on the site. Sometimes it will be tough to get people to link out to your product, but something unique and exciting can help with that process. Search engine optimization is a never-ending process plain and simple. There is also something new to write about, new to record, and new to share for your audience to consume. If you ever feel that things are stagnant, I implore you to review some of these suggestions above and see what it can do for you today! If you are looking for additional help with your site, I offer Free SEO Audits that can uncover new areas of opportunity for your website.